IBM’s analytics, big data and cloud announcements at this week’s annual IBM Insight data conference in Las Vegas, included the news that IBM Cognos Business Intelligence, SPSS predictive analytics and Watson analytics will soon be available via IBM Cloud Marketplace. This move will add some of IBM’s most powerful analytics capabilities to IBM Cloud Marketplace, a single online resource that enables customers to explore, trial and buy a wide spectrum of what’s available from IBM and it’s business partners. As enterprise organisations move towards exploiting the cloud to accelerate innovation and optimise competitive advantage from data, it is essential that industry-leading IBM analytics are available in that space. Through cloud and hybrid cloud/on-premise solutions businesses, developers and individuals have the opportunity to more fluidly manage and exploit data for improved decision-making. ‘Cognos and SPSS are incredibly powerful analytics tools, so the ability for enterprise organisations to deploy them via the cloud is exciting news’ says Matthew Doel, Technical Director of EBI Solutions, an IBM accredited Business Partner. He goes on to say ‘It means insights can be even more quickly transformed into actions that will drive an organisations performance, implement innovations and get the most out of multiple toolsets working together’. ‘We’re already working on initiatives and ideas that will help our clients fully exploit the opportunities’. 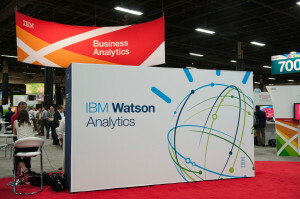 IBM Cognos Business Intelligence on Cloud is in beta and IBM plans to make it available during the first quarter of 2015. IBM SPSS Modeler will be available via IBM’s Cloud Marketplace by the end of 2014. IBM Watson Analytics will be launching in beta from November and promises to put powerful analytics in the hands of individuals. Helping users see patterns, pursue ideas and improve all types of decisions in far simpler and more intuitive ways. 1. IBM and Twitter confirm a deal enabling IBM to access Twitter data feeds and make the data available to businesses. The combination of Twitter Data, representing the ‘public pulse of the planet’ and IBM’s cloud-based analytics promise to transform how organisations understand their customers, markets and trends and inform business decisions. 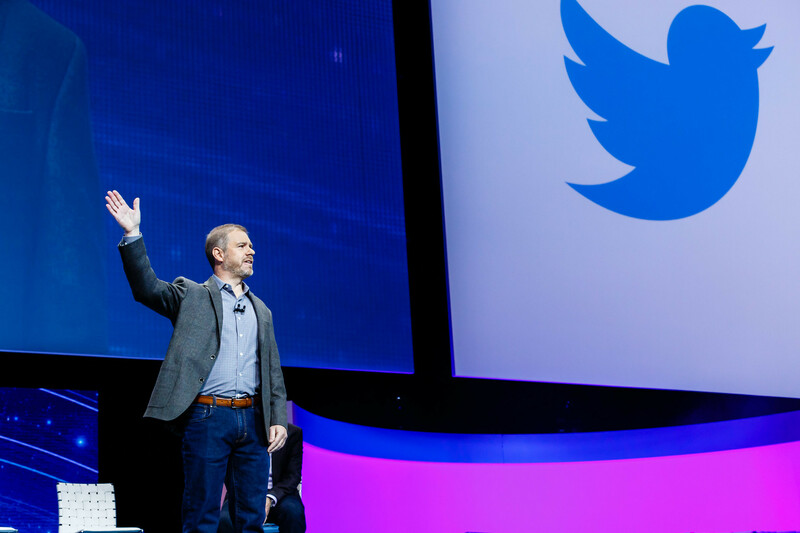 IBM will be offering Twitter data on selected cloud-based services including IBM Watson Analytics and developers will be able to integrate Twitter data into services they are building with IBM’s Watson Developer Cloud or the IBM Bluemix platform. The two organisations also plan to jointly develop industry and profession specific applications, the first of which will integrate Twitter data with IBM ExperienceOne customer engagement solutions. This will enable sales, marketing, and customer service professionals to map sentiment and behavior to better engage and support their customers. 2. Three new cloud-based data services will enable organisations to put more of their data to work. A suite of new data services including IBM DataWorks, IBM dashDB and enhancements to Cloudant will create what IBM describe as a ‘fluid data layer’ in the cloud. A layer that can be leveraged to improve customer experience and grow revenue, claim IBM. The innovations will make it easier for organisations to find, refine and prepare data; warehouse on the cloud for instant availability for analytics; curate unstructured data to increase confidence and enhance mobile and web applications with embedded analytics. IBM DataWorks is a set of cloud-based data refinery services that shape, cleanse, match and secure data. Business users can find, use and contribute data for analysis; application developers will be able to embed data services into new applications; and IT and data professionals can enable self-service data access and instil confidence to act on the data. IBM dashDB is a cloud-based data warehousing and analytics service with in-memory technology built-in to deliver answers faster. IBM’s dashDB keeps infrastructure concerns out of the way of critical and time sensitive analytics. A new integration of dashDB with Cloudant, IBM’s NoSQL database as a service (DBaaS), enables Cloudant users to embed analytics in their applications with a few clicks. Cloudant Local is an on-premise edition of the Cloudant cloud DBaaS that enables a fluid hybrid cloud data layer that spans private data centers, mobile devices and third-party cloud providers. This ensures customers can easily reconfigure their cloud data platforms over time to optimise the cost, security, reach and performance. The real power comes from integrating Cloudant, dashDB, and DataWorks together. For example, data could be captured from a mobile application running on Cloudant, uploaded to dashDB and then DataWorks used to refine and load additional data from other sources to provide more insight. IBM DataWorks, dashDB and Cloudant are available on IBM Bluemix. IBM Cloudant Local is available on cloudant.com. 3. IBM Watson Curator increases confidence that inputs into Watson solutions are trustworthy. IBM Watson Curator is a software-as-a-service (SaaS) which actively guides subject matter experts, who may be reviewing and adding data, through the entire curation process. This helps to minimise the time and effort required and ensure the relevance and quality of the information used for analytics. IBM Watson Curator will be available towards the end of 2014. 4. Five solution accelerators aim to help data professionals tackle some of the most significant and widespread challenges facing businesses today. Operations Insight – Providing increased insight into the condition of assets and performance of equipment to optimise operations, service and support; enable predictive maintenance, improve demand/supply forecasting, and drive process efficiencies. Risk and Compliance Insight – Providing the ability to make risk-aware decisions to better manage financial risk, operational risk and compliance; optimise the use of capital, minimise losses and reduce compliance costs. Data Warehouse Modernisation Projects – Enabling organizations to capture and maintain a broader set of information and enable increased analytic capabilities at reduced costs; providing quicker access to information generated across the enterprise. As usual, there are some significant and exciting developments coming out of Big Blue in the very near future. No doubt all enterprise organisations will be considering the opportunities that IBM Cloud offers and eagerly waiting so see what IBM Watson is really capable of. EBI is an IBM Partner and acknowledged as one of the UK’s leading information management and analytics consultancy firms with world-class expertise in all aspects of information management and analytics. EBI’s business results focus, fail-safe methodologies, unique skill in building bespoke business-changing applications and business intelligence expertise has been refined for over 13 years.